Politicians of Kerala Congress killed stray dogs and left their bodies near Kottayam’s municipality body offices in so-called protest against government’s negligence of the stray dog menace. These actions by misdirected people and opportunists may gain popularity, but fail to address the root causes. What we need now is not polarization between human and animal rights, but a scientific approach to handling the problem. What was the latest violent turn in protest of Kerala’s street dog menace? 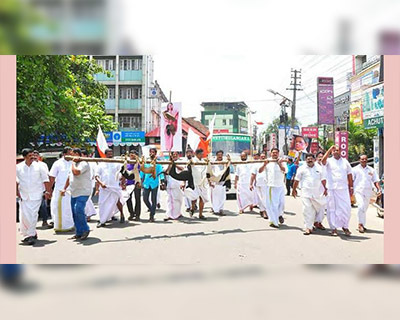 In a ghastly way of getting attention, politicians of the youth wing of Kerala Congress (Mani), last Monday, killed some of the dogs they thought “dangerous”, marched along Kottayam district with the bodies tied to a pole and left the dead dogs in a pile in the vicinity of the municipal body offices. Saji Manjakadambil, the protest leader said the act was a threat and warning of similar killings if governments at the state and central level continued to do nothing about the dog menace. The action has also been interpreted as a defiance of the Chief Minister who, in his facebook page had said illegal killing of stray dogs would not be permitted. Reports also say the jobless activists aimed to send a warning to Maneka Gandhi for her criticism of Kerala’s attempt to address the dog menace by culling. To make sure Maneka received their message they had put shoes around her cut-out and walked it along with the dead dogs. 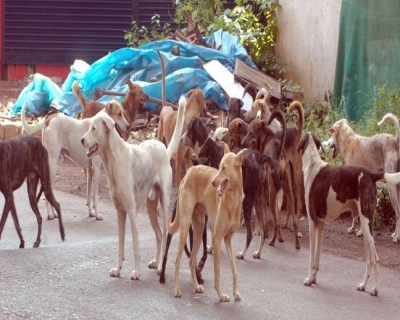 Kerala had been ordered by the Supreme Court not to cull its stray dogs. It initially resisted and later on submitted it would adopt the ‘ABC sterilization program’ instead of culling. The people who staged the protests are members of a party which has a poor image due to a controversial past.But they have highlighted a real threat – the street dog menace – and can gather support among parties and the population who may not realize there are other effective ways of dealing with the stray dog menace. This incident may spur other mass killings of dogs. The brutal manner in which strays were murdered in Kalady Grama Panchayat in Ernakulam district on 28 September is proof of this. 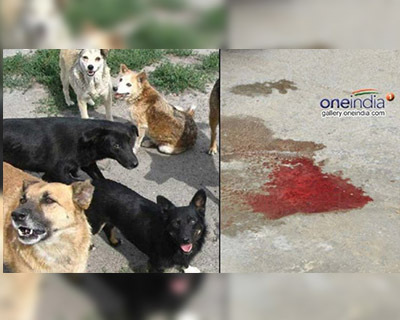 In this terrible incident, at least 15 dogs were repeatedly slammed on the floor till they succumbed to the horrible injuries. They were then said to be packed off for burial in a goods autorickshaw. The perpetrators were civic body authorities.Such ghastly incidents create the impression that strays deserve to be tortured to death. We know the stray dog menace has to be addressed at once and the government’s lack of initiative to do so will only result in more ineffective mass murders which will not even bring about a short-term solution. The stray dog menace in Kerala is an old one. Its negligence means the government will not find it easy to curb people who have vested interests from outrageously killing dogs. Worse, such killings will not protect the people of Kerala from assault by strays. Note: Kerala Congress (M) is a recognized state level Indian political party in Kerala. It was formed in 1979, splitting from the Kerala Congress. Its leader and chairman is K. M. Mani. 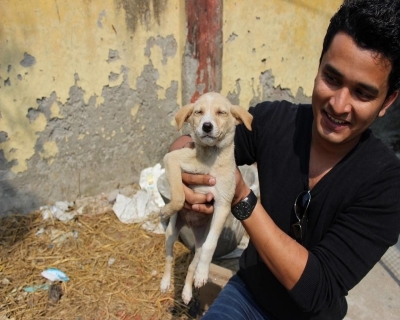 When have shocking incidents highlighted the stray dog menace? Data from Kerala’s department of animal husbandry show 51,000 dog bite incidents, 4 of which turned fatal in the first eight months of this year. This translates to about 240 dog bites a day. Children, the elderly and women have suffered the most. In August, a large pack of stray dogs mauled a 65-year-old woman to death. The dogs also attacked her son and locals who tried to chase them away. A stray dog damaged a four-year-old boy’s face and also bit his mother when she tried to rescue him. The boy was playing with his elder brother when the dog came running and bit off his cheek. He had to undergo plastic surgery. Dogs attacked eight people at once in August and the victims sustained major hand and leg injuries. A pack of stray dogs entered the tent of a sleeping migrant worker, dragged her out of it and bit her to cause major injuries on her nose, neck and upper lip. Dogs bit a six-month old baby girl and she sustained injuries in her stomach. On the same day, in the same village, dogs attacked a three-year-old boy and a 45-year-old man in the same village. Where are the alternative solutions? First we need to realize that frantic measures by politicians seeking to generate attention and people who do not understand the situation will not help in any way. But to even realize this, we need widespread awareness and large-scale measures to address the root cause of stray dog menace. 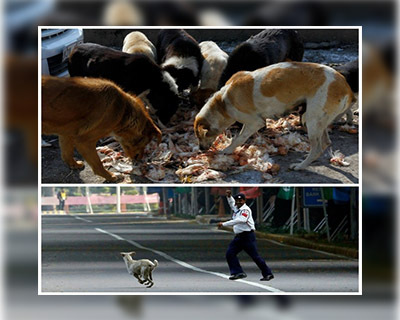 It is not only illegal but also impractical to get rid of all stray dogs. 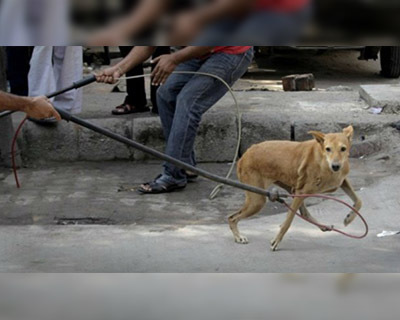 Suppose, the members of a locality get together and with permission from authorities, kill all stray dogs of the locality over a period till the day comes when the last batch of dogs die.In three or four days, the locality will be filled with dogs from neighboring localities. 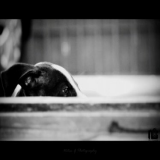 Implement the Animal Birth Control (ABC) Program effectively. Even as the “to kill or condone” debate intensifies, there are several resource constraints which impede ABC from being implemented.Shortage of trained dog-catchers, vets and declining infrastructure support are the main obstacles. Immediate action is needed to provide strong and substantial resources. Ill-trained dog catchers such as those appointed by Thiruvananthapuram catch dogs using iron wires – a banned technique. This reflects the need for a thorough revamp of the system. There is only one government hospital in Thiruvananthapuram with the authority to sterilize dogs. Doctors defy power cuts without electricity backup, poor resources and lack of trained people, to do their job. At least this one hospital needs to be equipped to implement the ABC programme in the best way possible. Manage and dispose waste in the healthiest way. The waste management and disposal techniques are horrible. Where waste accumulates, the stray dogs thrive and increase in number. A scientific waste disposable mechanism must be implemented from the Panchayat and municipality levels onward. Strict action must be taken against those who kill dogs in the most barbaric of ways and strut about as if the people of Kerala need politicians like them who care about the lay person’s rights. In parallel, vaccination and sterilization drives must be immediately implemented. Whose involvement is required for a successful ABC programme? In 2001, the central government brought the ABC programme into effect through the ABC rules. These rules are said to be implemented by states independently, with help from NGOs or local bodies. Dawn William of Blue Cross India said a dog-handler is responsible for “catching canines, chalking out a zone-wise plan and identifying centres where stray dogs will be sterilized, then vaccinated and later releasing to the same location from where they were picked up”. Abhinav Srihan, an animal welfare champion says a co-ordinated effort is mandatory to make ABC implementation effective. “The corporations in all zones of the city have to work together and for successful implementation, at least 70% of the dogs in an area should be sterilized and vaccinated” Srihan said. William and Srihan asserted the need for transparency and reviews of expenditure on sterilization efforts. The role of residents in tackling stray dog menace is also widely brought up among advocates of the programme; especially in addressing food, fear and territorial aggression which ABC does not curb. Sanober Bharucha, president of Compassion Unlimited Plus Action (CUPA), a public charitable trust, says ‘custodians’ who can feed strays in areas not near one’s own house or the houses of neighbors, and spread awareness among children to not harass or tease these dogs will be able to reduce these forms of aggression. But how this can be implemented feasibly in urban, highly-populated areas Apart from this, activists also emphasize the need for an efficient waste segregation and disposal system. Though Kerala’s deaths from attacks by dogs have made news, the stray dog menace is a national problem. The Global Alliance for Rabies Control says India accounts for 35 percent of total rabies deaths. Polarization has landed us in the middle of a mess.Advocates of human rights demonize strays or sensationalize the issue by asking “Is a stray’s life more worth than a child’s ” Animal rights advocates take a drastically opposite stand.The result is absence of a critical and scientific approach to the stray dog menace. 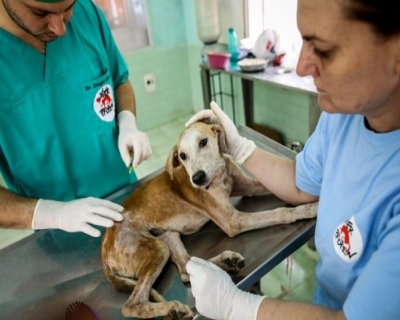 Rahul Sehgal, of HSI that has conducted several sterilization programmes in India says with no idea of the size of the dog population, one cannot comment on the effectiveness of ABC. HIS has now been assigned the task of conducting a dog survey – a necessary step. A disciplined health programme to deal with dog bites and rabies needs to be implemented. This should include all the measures discussed in the solutions and adequate facilities to ensure prevention and treatment.